There comes a point in most peoples’ lives when they just want to get away from it all. Whether it’s the stress of work or more personal problems, occasionally we all want to escape to a tropical island and forget our troubles. Or in the case of 27 year old Kieran, go away on a trip around austerity Britain with a 50 year old with whom he has nothing in common. 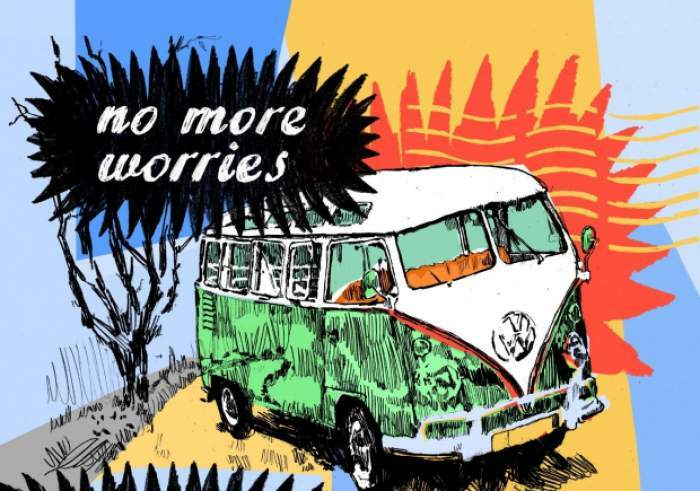 You can see how the title of No More Worries might just be a little bit ironic. Kieran and his travel partner Paul decide to go on a round trip around the country, with the intention of not stopping until the road ahead runs out. Unfortunately, they don’t have a lot to talk about and their mismatched demeanour means they soon realise they quite escape from reality as easily as they once thought. Co-produced by the Albany, Apples and Snakes and Arc, this new production takes a funny if somber look at daily life and the Britain we live in today. No More Worries comes to Stockton Arc on Wednesday 17th June.